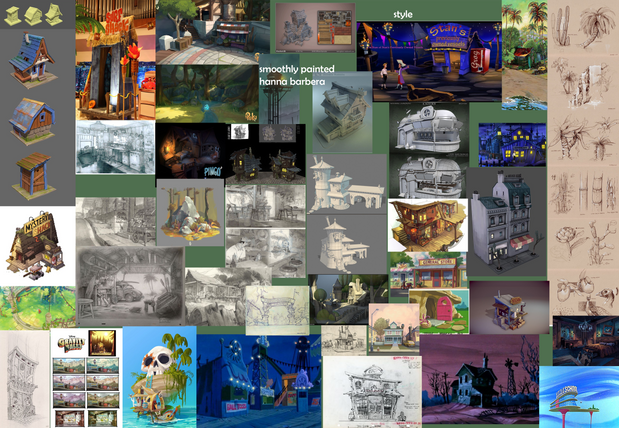 For something a bit different I am doing the stylized shop front project, and most of this first week was spent trying to concept, I had a couple of ideas floating around I wanted to try out so I made a list, some images I liked and did a bit of brainstorming. 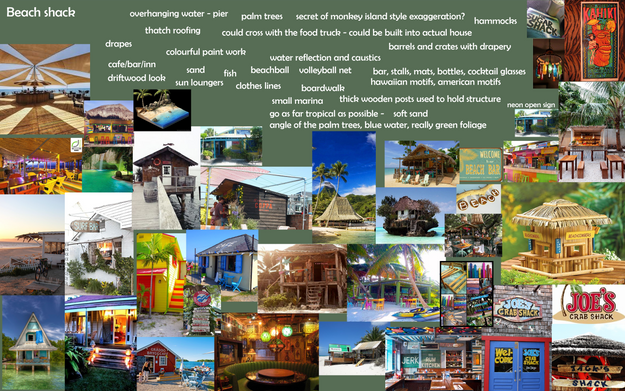 As you can see I have decided to create a beach shack! 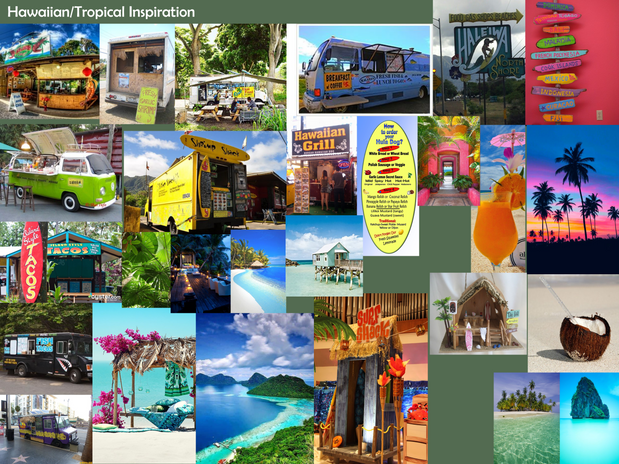 I am attempting to combine a couple of my ideas I had in my brainstorm, I wanted to make a food truck at one point but mixing it with a tropical/beach theme could be quite interesting. I tried doing some basic concept sketches in my book but I found that this process of trying to sketch more didn't quite work for this project. 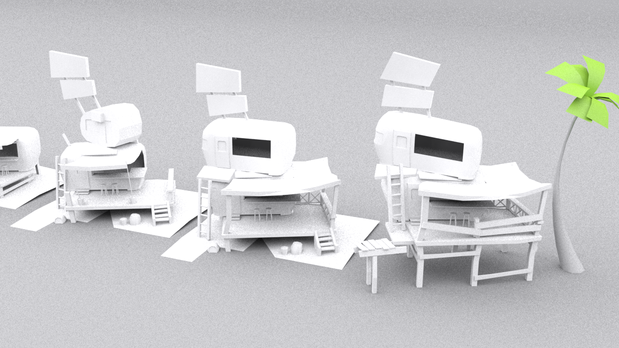 I created some basic thumbnail sketches in my book to establish a few ideas then went to try out these in 3d form. 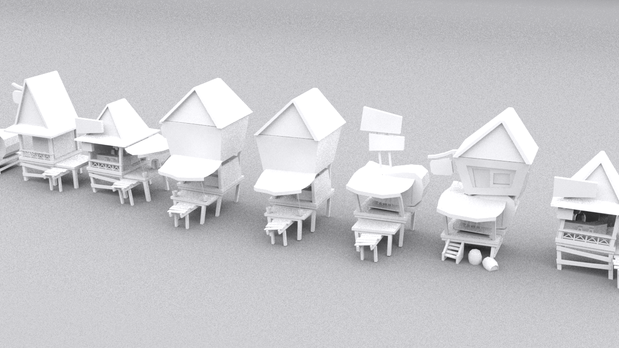 I played around with trying to stack the caravans in different ways, including how they are positioned on the wooden platforms. 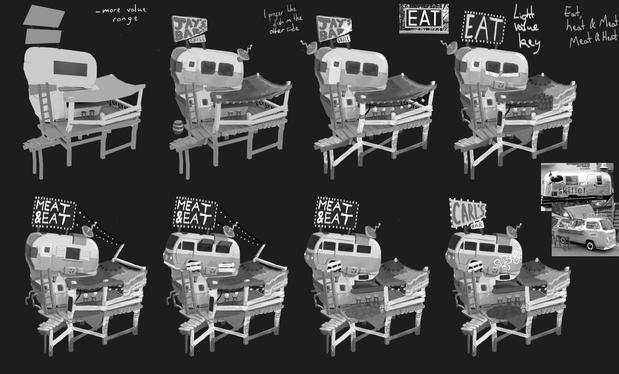 I quite liked the bottom caravan extending into some kind of bar so I tried to incorporate the angled bar from some of the earlier designs. 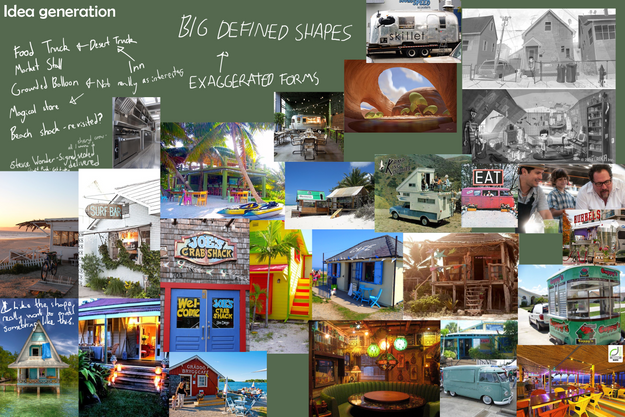 Cutting the bar shape into the caravan seemed to make a bit more design sense, as it added to the put-together look of the building. Next I painted over the blockout I liked the shape of (which happened to be the last one I did in this case!) I did these designs in greyscale so i could go over and iterate colour later on. A lot more time this week was spent on concepting than I wanted but I think to a degree it was better as I end up with a design I like more. 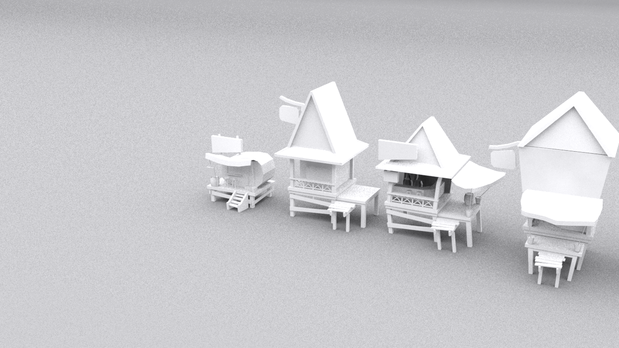 The only issue is I need to get onto modelling soon before it starts to eat into my texturing time. (My main concern on this project.) As I might have possibly said before handpainted textures aren't my strongest area so I will have to put in quite a large section of the project towards it.